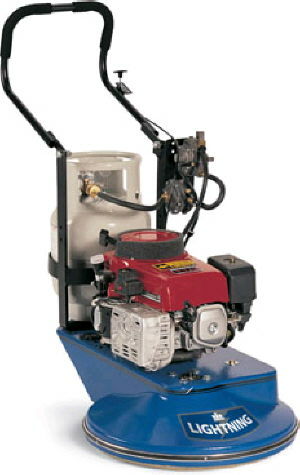 FLOOR BUFFER, PROPANE BURNISHER 24"
WINDSOR PROPAIN POWERED BURNISHER 24"
Coverage: 28,000 sq. ft. / hr. LP TANK: Steel, equipped with over-fill protection. Dimensions: (L xWxH) 26" x 44" x 56"
Weight: With empty propane tank: 245 lbs. * Please call us with any questions you may have about our floor buffer propane burnisher 24 inch in Kingsport TN, Johnson City, Elizabethton, Rogersville TN, Gate City VA and the NE Tennessee, SE Kentucky and SW Virginia Tri-State Area.